It’s that time of the year again! Christmas! And as usual there’s plenty of excitement in the air (for those who aren’t broke anyway). The Christmas season ushers in the new year which explains why even non Christians share in the excitement that comes with it. It is also that time of the year when the traffic in most parts of Lagos is at its peak. Just before Christmas the traffic is usually at an all time high! In these past few weeks, many Lagosians can attest to the horrid time they have been spending on the road. A journey of 30 minutes now takes at least 3 hours! Which makes me wonder where everyone is going! 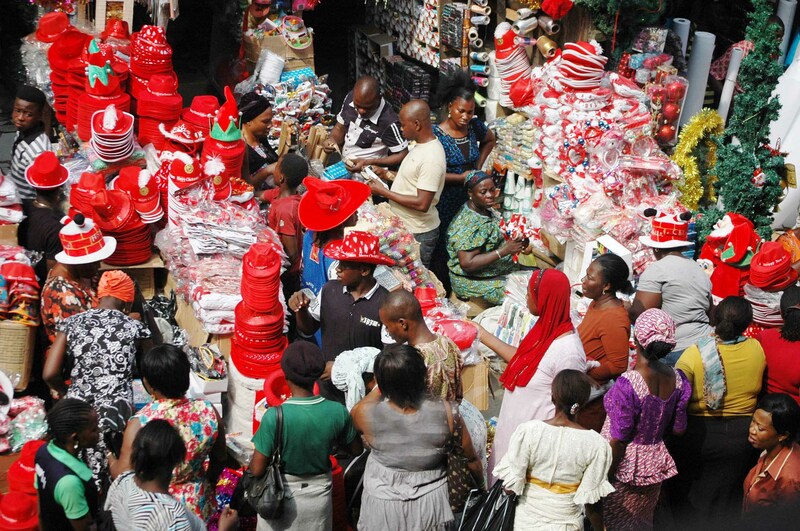 Gone are the days where our friends from the Eastern part of the country travelled en masse to their villages to spend the yuletide season with their loved ones. Nowadays, more and more of them seem to be staying behind and so the relative free flow of traffic on the roads around the Christmas and New year period isn’t exactly what it used to be. The Christmas and New year holidays also provides the much needed avenue for family and close friends to come together and catch up on each others lives and activities throughout the year. Ironically, the gathering which is supposed to foster a relaxing and fun filled atmosphere can turn out to be a nightmare for some due to the unmet expectations of meddling family members. The dreaded family pressure is usually in full swing at these gatherings! I recently heard of a couple who chose to travel to Dubai this holiday in order to avoid embarrassing questions about why they are yet to have a baby. Woe betide you if you are yet to secure a job or get married as the year winds down, you may not have a very pleasant reunion with family and friends whose intention to show off their accomplishments of getting married, having babies or buying a new car is masked under the disguise of showing concern for others thereby triggering the feeling of inadequacy in them. It is also that time of the year where people take the liberty to splurge. There is financial pressure all around. It goes without saying that people are expected to spend money and live large around this time regardless of their financial muscle, which is why the crime rate almost always increases at this time of the year. A visit to any market or mall reveals a multitude of enthusiastic shoppers who are buying anything and everything, caution is thrown to the wind and many cast their worries aside while spending in the spirit of the season. It is quite interesting to note that we lament daily about being cash strapped due to dwindling economic fortunes and yet are able to somehow whip up the funds required to “turn up” only to turn sober and dead broke when all the euphoria of the season dies down and reality sets in. I believe that it is permissible kick back, relax and be extravagant once in a while, after all what’s the use of working hard all year long to earn a living and not being able to spoil ourselves a little at the end of the working year. Nevertheless, it is important to remember that Nigeria is in precarious times, with the price of oil and the value of the naira falling daily we have an economic crisis looming ahead of 2015 whether we admit it or not, and so it only makes sense to watch the spending this period. I for one have decided to “respect” myself throughout the season. I’m cutting my coat according to my cloth in order to avoid being broke in the new year. It is the season to be jolly and have fun…true! But, remember, there’s a life to live and bills to be paid after the holidays. Better safe than sorry. P.S: It is CHRISTMAS and not Xmas. I have a problem with people saying or even writing Merry Xmas. Christians all over the world celebrate the birth of Jesus Christ this season and so it only makes sense that it is acknowledged, pronounced and written properly. Thank you ever so much bro! Merry Christmas! Amen! God knows I need that prayer. And thank you so much too for always taking out time to read the products of my random thoughts. Errm…as per the chicken laps I’ll try my best to go easy on those seeing that I’m watching my height. *wink* Merry Christmas dear! Nice one Lolo. Lol @ Xmas/Christmas . . though I think it mere abbreviation, but, it does make a lot of sense not to remove Christ from mas. Yeah I understand that many people just use it as an abbreviation. I guess it’s just a pet peeve for me. Thanks so much for commenting and merry Christmas! I thought i was the only one living in my world of wonder on how people manage to come up with the “big funds” expended during the yuletide. Anyways, we all have our ways. . Dont we? For me, the good old christmas days are gone. Those are the ones i experienced growing up in the 80s up till the mid 90s. Should we say it is the worsening economy that is responsible for this or is that i am now much more on the expense side than the beneficiary end?. . While as a muslim i earnestly look forward to the season because of the accompanying holidays and partly the social events that also come with it, it is increasingly becoming an expensive season. I laughed hard at the part of the write-up that reffered to friends and relatives using the re-unions to assess one’s’ current status and achievements. My dear. . Thats what we call “Awon aiye @work!”. .may we witness many more joyful christmas and less expensive ones too. . Lol! PS: my christmas rice and pressies from my christian pals further decreased this year o. . . God save Nigeria and the declining purchasing power. Hahaha! I think it is a combination of the 2 factors you mentioned. Ko funny rara o…Christmas isn’t what it used to be but in everything we give thanks. So good to have you back Abayomi.